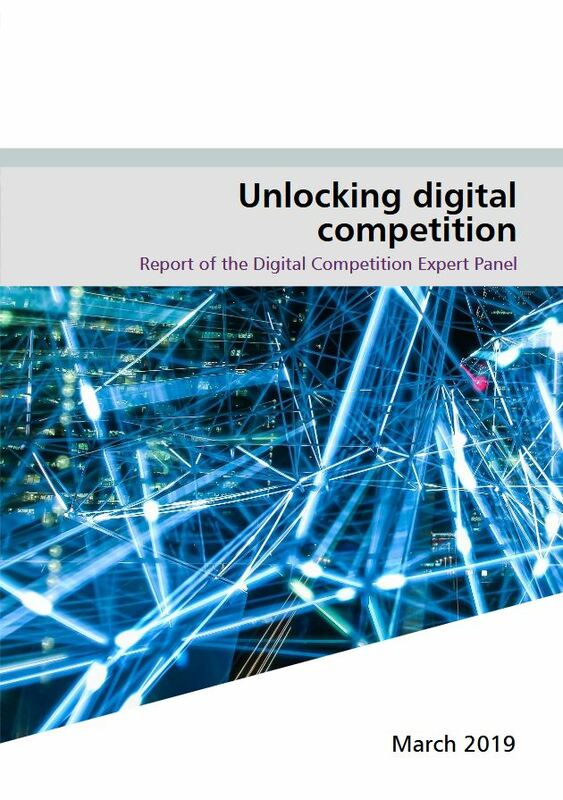 While the UK is trying to escape a #HardBrexit and is making friends with a #Brextension, the final report of the “Digital Competition Expert Panel“ led by Jason Furman, former chief economist under Barack Obama, was published on March 13, 2019. The British are thus presenting some far-reaching proposals for a new digital antitrust law. Adrian Deuschle shares his thoughts. So, what’s going on in the digital economy? In the first chapter, the business model of online platforms is presented, in particular the free nature of services for consumers and the importance of data for this business model. This is not particularly new, but it needs to be in there. By the way: The Expert Panel responsible for the report with the nice title of „Unlocking digital competition” is composed of Harvard’s James Furman, Cambridge’s Diane Coyle, Amelia Fletcher, who is at the University of East Anglia, Andrew McAuly, expert for the digital economy from Nottingham, and Philip Marsden (CMA, Bank of England, College of Europe), who on Twitter calls himself an “Antitrust Marathoner, Competition Flaneur” and who is of course known for his critique of hipster antitrust. The rising concentration of power in the markets for online search, social media, digital advertising, mobile phone operating systems, and the digital economy in general is probably the biggest issue. Responsible for this are economies of scale and scope, the advantage of the market leaders through the generated data volumes, direct and indirect network effects, the limited possibility of multi-homing and the deep pockets of the large players. Most of these features do not only occur in the digital economy, but their combination leads to a concentration on some dominant market players. However, the digital economy is also faster and more flexible, so competition for the market could lead to good quality, low prices and innovation. Just as Facebook had displaced MySpace, Google Yahoo and Apple Nokia at the time, the market leaders on the tech markets could be threatened with constant replacement by innovative start-ups. So, will MAGAF’s market shares soon disappear on their own? The report says that’s unlikely. In contrast to the early market leaders in the tech market, conditions have changed. The persistence and scale of MAGAF’s supremacy speaks for itself. Nokia did not yet have an AppStore, where they could charge 30 % of the generated turnover. Plus, the companies have allegedly created a “kill zone” in which all innovative companies whose business model threatens MAGAF are simply bought up or aggressively driven out of the market. This has negative effects on consumers and downstream businesses. Even if consumers are sometimes offered “free” services, they pay this with the invalid consent to the use of all data and with higher prices on other markets (if companies spend more money on advertising, this is reflected in the selling price of their products, which are ultimately paid by consumers). The effects on innovation must be considered in a more differentiated way. The purchase by the big five may be profitable for many start-ups and encourage them to innovate. However, the “killer acquisitions” result in only a certain type of innovation being promoted. Namely, innovations that merely complement the status quo. These probably have the highest payoff, while fundamentally disruptive innovations are generally bought up and then shut down. What should UK antitrust law look like in the digital economy? 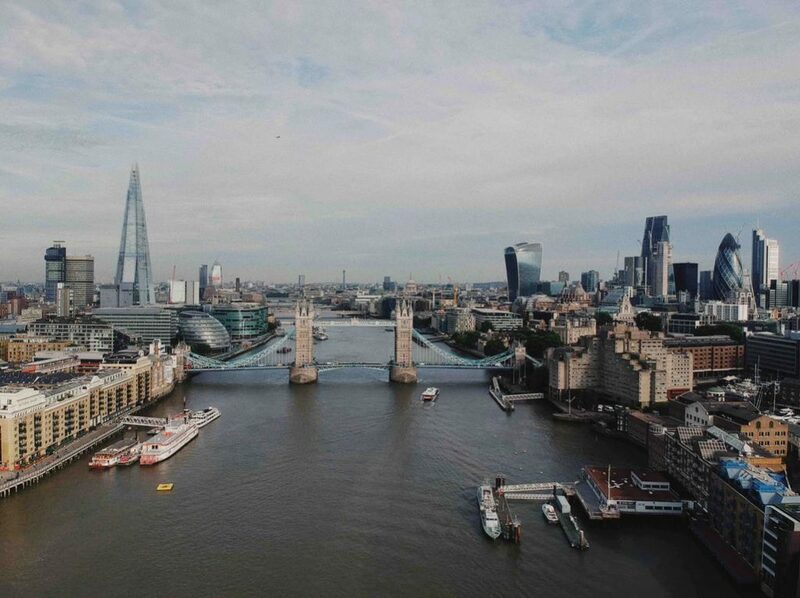 The report first identifies an underenforcement in UK merger control. The “big five” (Microsoft, Apple, Google, Amazon, Facebook) made over 400 acquisitions globally in the last decade, 250 of them in the last five years. None of these mergers were notified voluntarily to the CMA. The CMA monitors all unnotified mergers and considered a closer review of 30, but approved all of them in phase 1, most recently the acquisition of Waze by Google (Motorola Mobility). At any rate, this is not what effective prevention of killer acquisition looks like. At least this is not due to the two jurisdictional threshold tests. Firstly, proceedings may be initiated if the target company achieves a certain turnover; secondly, if the companies achieve a market share of at least 25 % on the UK market after realising the merger. This “share of supply test” keeps the merger control flexible and dynamic, making the UK one of the few EU Member States that could have reviewed Facebook/Whatsapp. Therefore, there is no need to introduce a transaction-value based threshold (as in Germany and Austria). Rather, the CMA is to prioritize the review of mergers in digital markets in the future. In addition, digital companies with a “strategic market status” (more on this below) should be obliged to notify all planned takeovers to the CMA. Furthermore, the Merger Assessment Guidelines, last updated in 2010, ought to be reviewed and adapted to the digital age. What about the theories of harm in merger control? In order to block a merger, the CMA must identify a “substantial lessening of competition”. Such a lessening of competition must be more likely than not. This tends to be very difficult to prove in practice. According to the report this test is not suitable to effectively prevent killer acquisitions in the future. The Furman Report proposes a new “Balance of Harms Approach” which assesses not only the likelihood, but also the magnitude of the impact of the merger. Thus, if it is not more likely that competition would be lessened, but the lessening, if it occurs, would severely restrict competition, a merger could still be blocked. This approach would be more restrictive and flexible. As an alternative to the Balance of Harms Approach, the Unit cites the introduction of a legal presumption against any merger by the large digital companies. With this rebuttable presumption one would have passed the difficulty of proving a lessening of competition to the companies. That would be a complete change in system – probably too radical. The report is not in favour of implementing the SIEC test used by the EU Commission in UK law, as there is also an underenforcement of digital mergers at the EU level and therefore the test has no significant advantage to the current test. So much for merger control. What happens with abuse and antitrust law? The main aim here is to speed up antitrust law. The aim is to promote interim measures. The CMA had the authority to use interim measures for a long time and in 2014 the power was even extended. However, this power, just as in Germany and in the EU, has never played a role. The report proposes making more frequent use of this power in the future. The main reason for the lack of application is the legal obligation to disclose files relating to the proposed direction to the parties affected. To end this, the access to file should be confined to documents clearly relevant for the interim measure. If this is not possible under current law, the CMA rules need to change, so the Report says. Besides, the rights to appeal antitrust cases ought to be restricted. According to the report, under current law there is an incentive to appeal against decisions of the CMA, as a full-merits review standard is granted which allows to reconsider the legal and economic aspects of the case. This right to appeal is to be limited to ensure that decisions are founded on procedural regularity, avoid material errors of fact or law, and are reasonable in their judgement. The report also proposes to continue vigorously enforcing infringements of consumer protection law in digital markets and to monitor the use of algorithms and machine learning. Furthermore, a market study on the digital advertising market is proposed. So, will we see a reform of antitrust law soon? The report is pursuing a different path. It is proposed to introduce a pro-competitive “Digital Markets Unit”. The report assumes that traditional antitrust law is important for competition in the digital economy, but its effects are limited. Antitrust law is too slow and refers only to specific cases with an ex-post view on the conduct. Therefore, the report proposes this new unit working with an ex ante perspective. The new body will keep a list of all companies with a “strategic market status”. These include dominant platforms which have control over the access to the platform and demand particularly high margins due to their market power. The unit should maintain three functions. First, it should develop a code of conduct for companies with a “strategic market status”. This code should be developed in cooperation with the platform companies and all other stakeholders. The penalties for a violation of these rules should be “extremely high”. This will be the only possibility to influence the behaviour of the large platforms. Compliance of the code of conduct should be monitored and enforced by the new market unit. Based on a case study using the European Commission’s Google Shopping case, the report shows how the entity would implement the code of conduct. What are the other functions of the unit? Moreover, the technical implementation of data mobility in compliance with highest security standards and the legislation could pose difficulties. The government should promote voluntary projects such as the Data Transfer Project from Google, Microsoft and Twitter. At the same time, it should implement comparable or even faster and more ambitious actions in other areas. The Open Banking System introduced by the CMA is cited as a positive example of such actions. In addition, the digital merger unit should be able to prescribe the use of Open Standards if necessary, for the competitive outcome in the concrete situation. The unit will also be given a tool to open the data treasures of large incumbents to third parties. This should attack the market entry barriers and the bottleneck position of the market leaders. This intervention should only be used as a last remedy by the authorities, if other methods are not likely to work. How should the unit be incorporated in the institutional body? In order to fully perform the above-mentioned functions, the unit must be newly established and equipped with its own powers. Different possibilities are proposed for the institutional framework. First, a completely new independent authority, with own rights, maximum independence and focus on the digital economy. Secondly, a unit with own powers within either Ofcom or CMA. 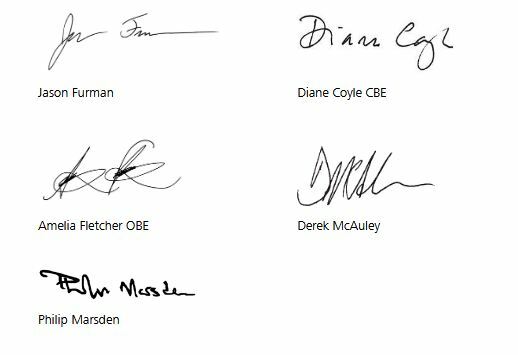 Finally, a legally independent subsidiary of CMA or Ofcom with its own Board of Directors and CEO. The decision should be made by the government. Every 3-5 years, the unit should prepare a status report on the markets and companies with strategic market position. Is the report just focused on the UK? No. The concentration of market shares in the digital economy is a global phenomenon. That is why we also need an international agenda. Therefore, the government should participate in global initiatives where competition authorities exchange best practices and develop a common approach. The different jurisdictions should be compared, evaluated, and if necessary, adapted to the digital economy. The UK should promote its existing tools including its market studies and investigation powers, so that other countries can benefit from the introduction of these powers. Furthermore, the UK should engage to make sure that patent rights are not extended to areas of the digital economy where they were previously not applicable. The impending “patent thicket” could foreclose markets and hamper innovation in the digital economy. The Digital Markets Unit should be used to share pro-competitive ex ante measures to promote competition internationally.